Is it time Military covered its Achilles’ heel? 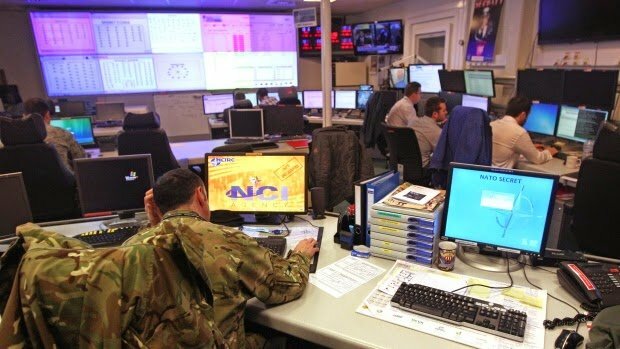 Technology pundits, especially those who have their heads down in cyber warfare research, have been warning military establishments that as well as beefing up their kinetic arsenal, it’s about time that defence organizations looked more deeply into cyber-warfare too. There is no guarantee that the U.S. information technology infrastructure would stand up to a full-spectrum cyber-attack by a sophisticated enemy, said a January report titled, “Resilient Military Systems and the Advanced Cyber Threat” by the Defence Department’s defence science board task force. League’s Sea-Air-Space Exposition in April. “Critical databases on the ship are compromised. The main gun’s fire control system has been hijacked and is aimed at your ally. “Can you stop it from firing? Your supply chain is corrupted, your fuel is ordered to the wrong GPS coordinates. How do you get your ship and sailors out of harm’s way or into the mission that you need to execute?” he asked. Von Thaer admitted his examples were overdramatic but asserted that small Defence Department teams were able to accomplish similar feats using only software downloaded from the Internet. His task force spent 18 months studying the resiliency of Pentagon networks by compiling information from these exercises and more than 50 briefings from department and military personnel, industry officials and academia. Using “exploits” — computer software or code named for its ability to take advantage of a system’s vulnerabilities — the red team hackers were able to infiltrate Defence Department networks in short order, the report said. “Such penetrations could seriously impede the operation of U.S. forces by degrading network connectivity, corrupting data and gaining intelligence,” the report said. It’s about time that defence organizations pay serious heed to these reports asserting the fact that cyber warfare is a reality and must be dealt with forcefully. Not only it has to be tackled craft fully but also repelled with equal force. Which means that the defence organizations will not only have to focus on how to curb those attacks and defend themselves in the case of an actual attack but also to counter it and attack back the source of origin with all its might. It’s about time Achilles’ heel is not a term that will be synonymous with defence organizations’ cyber-warfare abilities! January report titled, “Resilient Military Systems and the Advanced Cyber Threat” by the Defence Department’s defence science board task force.